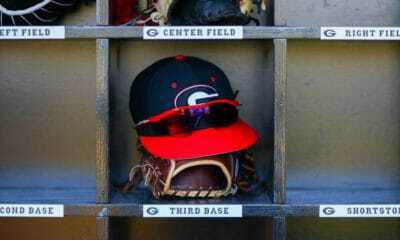 ATHENS, GA – The 2014 Major League Baseball First-Year Player draft concluded Saturday evening, and three current Bulldogs and three Georgia signees were selected during the 40 rounds. The draft was stretched out over three days, and during that time Georgia junior shortstop Nelson Ward was a 12th-round pick of the Seattle Mariners, junior left-handed pitcher Jarrett Brown was a 22nd round selection of the Mariners, and junior third baseman Hunter Cole was taken in the 26th round by the San Francisco Giants. Ward, a co-captain, started all 56 games this past season, and hit .306 with a team-high 34 RBI. 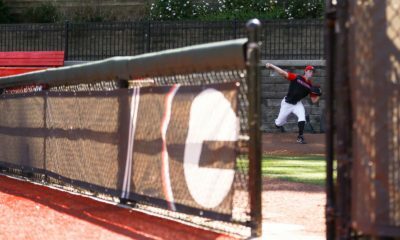 Brown made 19 appearances and went 1-1 with a 6.67 ERA in 27 innings pitched. Cole hit a team-best .319 with three home runs and 31 RBI in 53 games. 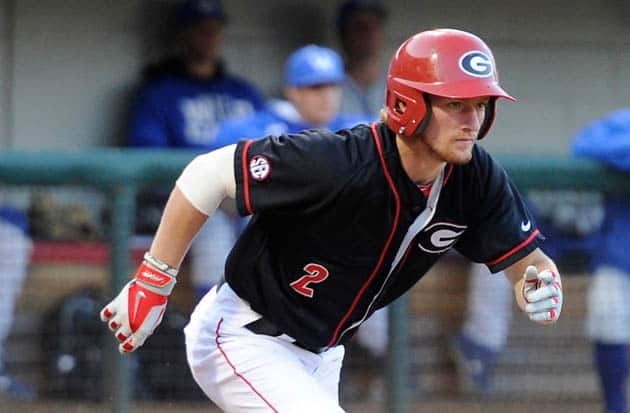 Before this year, the last time a Bulldog was drafted by the Mariners came in 2009 when coincidentally, Seattle ended up picking two in first baseman Rich Poythress (2nd round) and outfielder Matt Cerione (13th round). 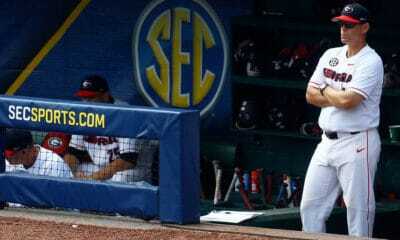 Before Cole, the last Bulldog drafted by the Giants was outfielder Bobby Felmy in 2006 in the 22nd round. 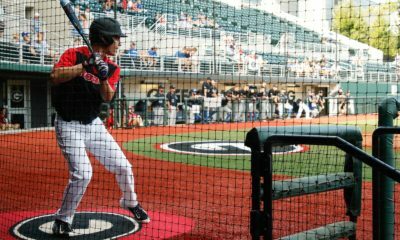 Three Bulldog signees heard their name called during this year’s draft: Right-handed pitcher Spencer Adams (2nd round, Chicago White Sox), outfielder Michael Gettys (2nd round, San Diego Padres) and left-handed pitcher Bo Tucker (38th round, Cincinnati Reds). Adams, Gettys and Tucker recently concluded their prep careers. The signing deadline for underclassmen and high school seniors selected is July 18. The Bulldogs have a streak of 41 straight seasons with at least one player signing a professional contract.